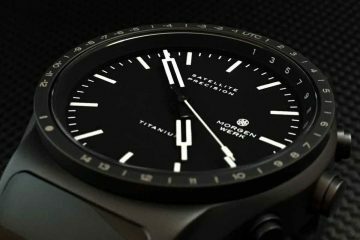 Their newest model, is dubbed the Chroma, a minimalist automatic watch, that will be available in multiple dial colors and case finishes, and also two versions, a standard 3 hand and a skeleton dial. 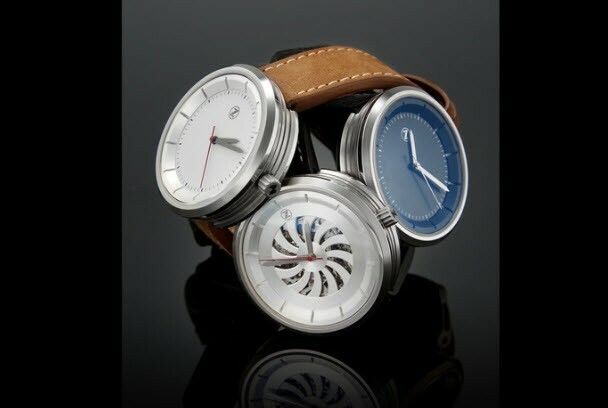 At first glance, The Chromo reminds me somewhat of a Xetum Watch, as they both share a similar case design, most notably, the round case with no lugs. The watches are similar, but not identical by any means, as the Zelos Chroma has a more sleek design, and a stacked case. The movement will be the Miyota 8215 automatic for the solid dial versions, and the Skeleton dial will be using the Miyota 8N24, both will come with a rose gold plated rotor, similar to the Helmsman. 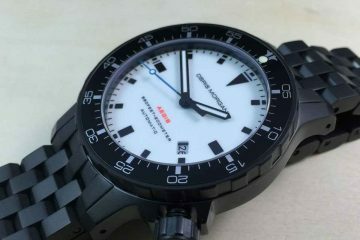 Specifications look good, with a 42mm case width, sapphire crystal, automatic movement and a crazy horse leather strap. 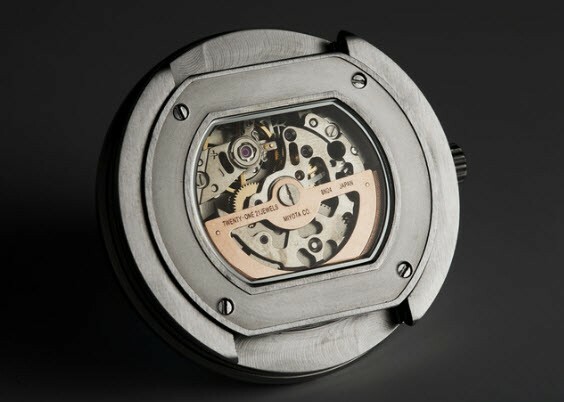 Models will be limited to 200 of each solid dial variation, and 100 of the skeleton dial. As of this writing, they are halfway towards their stretch goal of $20,000 (Canadian), so it looks like there will be no issues with this project getting funded. 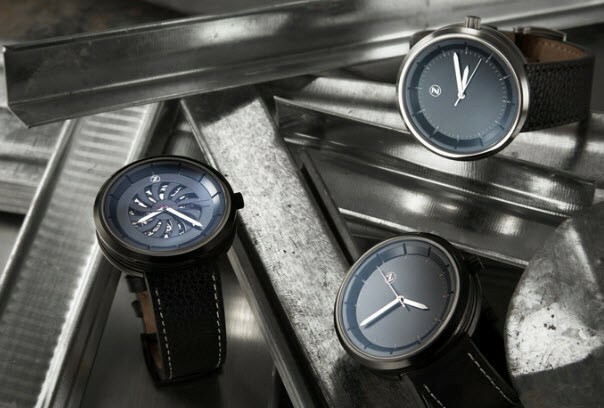 Early Bird specials start at $199 CAD for solid dial, and $239 for the Skeleton, with a retail price of $350 and $450 respectively. $199 CAD converts to $177.71 USD, give or a take a few. That is a great price for a watch with these specifications, if you don’t mind waiting a few months to get it. Zelos is looking at December for completion of this new model, (Skeleton Chroma will be a month later due to movement movement shortage) with shipping shortly thereafter. Of course as many of us know, there can be delays with manufacturing, so we will have to wait and see if they reach their target production dates. 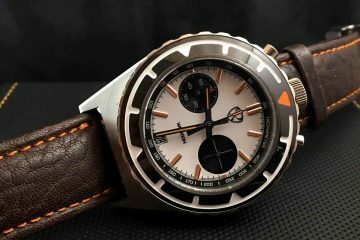 Zelos has said they have streamlined production though to help move it along, one of that being you can not reserve a serial number, as this causes delays if there is a QC issue with it, and the watch having to be remade. The Zelos Chroma looks promising, and is an affordable option for someone wanting an automatic in a modern casual design. Watchreport hopes to have a sample model for a full review when these are ready, so keep an eye out for that in coming months. To reserve your Chroma or for more info, you can go to their Kickstarter Page HERE .